Embroidered Egyptian Cotton Boudoir/Travel Sham Made in England 12" x 16"
Ribbons and Bows pattern embroidered in pink boudoir/travel sham. Woven in England by Peter Reed Ltd, holder of the Royal Warrant, using luxurious long staple Egyptian cotton. Peter Reed Ltd has been weaving fine cotton sheeting in Lancashire since 1861. Navy Blue embroidered greek key pattern boudoir/travel sham. Woven in England by Peter Reed Ltd, holder of the Royal Warrant, using luxurious long staple Egyptian cotton. Peter Reed Ltd has been weaving fine cotton sheeting in Lancashire since 1861. 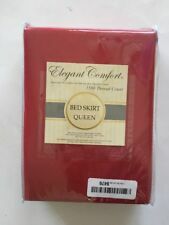 Bought and never used king size elegant comfort 1500 count 100% Egyptian cotton king bed skirt. NEW Egyptian Comfort Signature Series 6PC 1000. Elegant yet durable, their softness is enhanced with each washing. You will relax and enjoy the rich, soft and luxurious feeling of cotton. Cotton Beige FULL Bedding Sheet SET. Color Grey. Fits pillows 20 in x 36 in. 500 thread count. 100% Egyptian Cotton. Color Black. Fits pillows 20 in x 36 in. 500 thread count. 100% Egyptian Cotton. 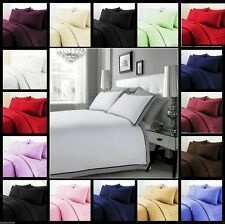 1500 TC THREAD COUNT LUXURY EGYPTIAN COTTON BRUSHED MICROFIBER FULL SIZE SHEET SET IN LIGHT BLUE. Egyptian Cotton. Wash in cold water, gentle or delicate cycle. Tumble dry on low heat. With the look and feel of 1500 Thread Count. Our luxu ry bath mats provide a quick and classy update to any bathroom or spa decor. Experience 100% Egyptian Cotton bath mats that are softer, more absorbent, and wash better than your average bath mat. 2 pillowcases in each package. Elegant Comfort 1500 Thread Count Luxury Egyptian Quality Wrinkle and Fade Resistant 4-Piece Sheet Set, Queen, Elite Orange. 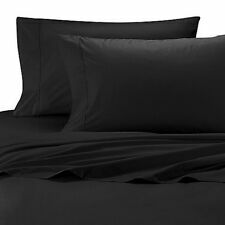 Micro fiber sheets are as soft as 1,500 thread count Egyptian cotton. Elegant Comfort-High Quality and has a breathable weave. Color Brown. Fits pillows 20 in x 36 in. 500 thread count. 100% Egyptian Cotton. Egyptian cotton is the world's finest cotton and the following characteristics are what sets Egyptian cotton apart from other natural fibers. 800 Thread Count 100% Egyptian Cotton Bedding’s. Washing Care : - For best results, machine wash in cold water with similar colors, dry on low heat. 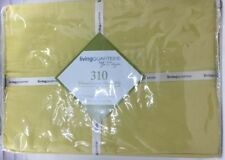 Living Quarters310 Thread Count Single Ply Sateen Sheet Set.Twin size in Gold color. 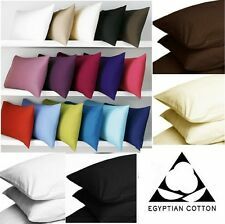 100% Egyptian Cotton Amazingly soft, smooth and comfortable. One of the two pillows sold factory plastic was cut on one end and re-taped. Duvet Cover is BUTTON CLOSURE. 100% HypoAllergenic. Experience luxury like you've never felt before. Sheets that feel almost hedonistic, this sumptuous set is going to bring your dreams to a whole new level. A snow white, 300 thread count, Egyptian Cotton Flat Sheet for a twin size bed from Springmaid. The luxury of blended Egyptian Cotton fro lasting softness and easier care. 100% Authentic! Item is NEW. White embroidered Bow pattern boudoir/travel sham. Woven in England by Peter Reed Ltd, holder of the Royal Warrant, using luxurious long staple Egyptian cotton. Peter Reed Ltd has been weaving fine cotton sheeting in Lancashire since 1861. Bed Alter Made for Bedding World Duvet Cover. Elephant Grey. 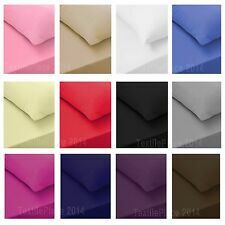 1 Full Fitted sheet 54 x 75 x 15 1 Full Flat Sheet 81 x 96 2 standard pillowcases 20 x 30. Length: 13. Height: 10. Enjoy the soft, silky smoothness of cool cotton against your body with the 100% Egyptian cotton sheet sets. The 1500 thread count fabric will make you feel like a King and sleep like a baby in the finest bed linens available. 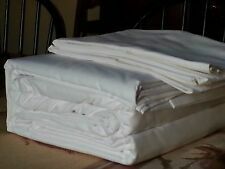 Thread Spread 100% Egyptian Cotton - 500 Thread Count 4 Piece Sheet Set- Color White,Size King - Fits Upto 18" Deep Pocket. DONT FALL FOR THESE CHEAP REPLICAS & BUY AUTHENTIC PRODUCTS FROM "THREAD SPREAD". 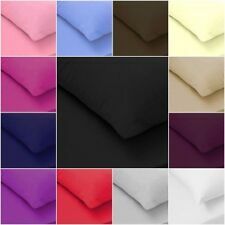 Perfect Touch King (2) Pillowcases in Grape 100% Egyptian cotton. Size: 20 in x 40 in. Add boobalie to your favorites to receive alerts to all our new products and sales. Clothing,Shoes & Accessories. 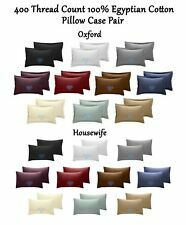 Perfect Touch King (2) Pillowcases in Moss 100% Egyptian cotton. 625 thread count sateen. Size: 20 in x 40 in. Add boobalie to your favorites to receive alerts to all our new products and sales. Clothing,Shoes & Accessories. Nothing refreshes a mind and body more than a good night sleep. An affordable luxury that drapes beautifully on the bed. These 300 thread count sheets of premium long-staple cotton are "sateen" because they are woven to display a lustrous sheen that resembles satin. Indulge in the lustrous, silk-like feel of the 500-Thread-Count Damask Stripe Pillow Sham. Made from 100% Egyptian cotton, the silky smooth pillow sham features a classic damask stripe for a refined and elegant finish. TWO STANDARD PILLOWCASES 20 x 32". BY CHARTER CLUB. IN VIOLET (PURPLE). 40% POLYESTER FOR WRINKLE RESISTANCE. 300 THREAD COUNT. Home Brand 500-Thread Count 100% Egyptian Cotton White Sheet Set (2 Sets). Condition is New with tags. Shipped with USPS Priority Mail Small Flat Rate Box. Wamsutta cool touch percale 1 grey twin flat sheet. Cool and crisp sheet. Durable wash after wash. Finished size: 66 in x 96 in. Fits mattress 39 in x 75 in. We will take care of the problem quickly and give a fair response. Materials: 100-percent Egyptian cotton, single ply. This sale is for 1 Twin Flat sheet and 1 standard pillow case. Fully elasticized fitted sheet. David Alan Jordan, Owner. Kathy Brooks Jordan, Owner.